2017 year special model of the F1/3G with maroon or black Micarta is really a very special edition, here are for the first time a distinct, detailed laser engraving of the JAS 39 Griffin NG (Next Generation) along with the traditional oval logo that has been Fällkniven’s hallmark for more than twenty year. The handle medallion in nickel silver is covered with about 30 my thick layer of 24k gold, usually you use 2-3 my only. 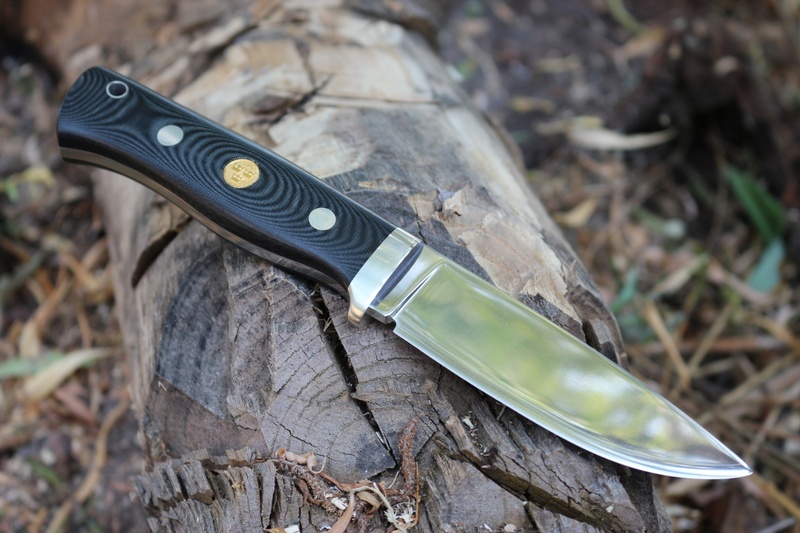 Guard, tubular rivet and handle rivets are made in nickel silver on this exquisite full tang knife. 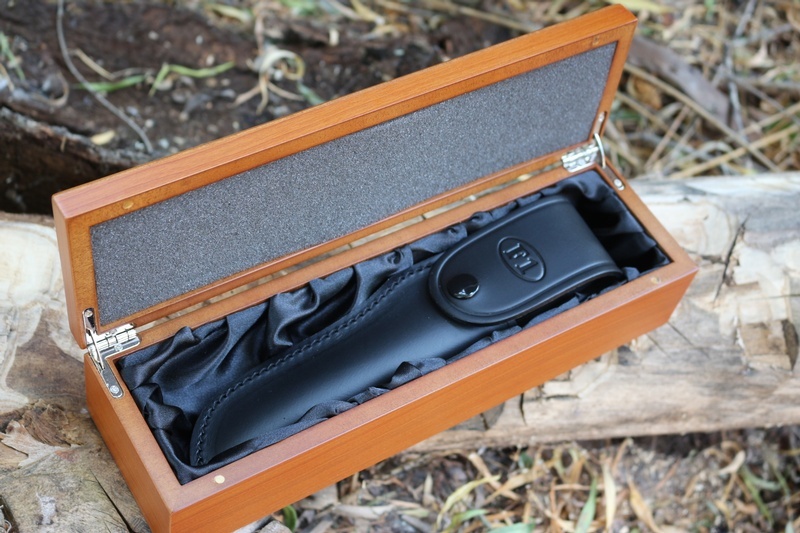 The knife comes with an all-black leather sheath in a neat wood gift box. How many the final edition will be is yet to be decided but the first samples of only about a hundred pieces of each kind emerges in spring/summer 2017. The reason why the edition is as small as a hundred pieces is because the knife, in a true Loveless design, is made entirely by hand. 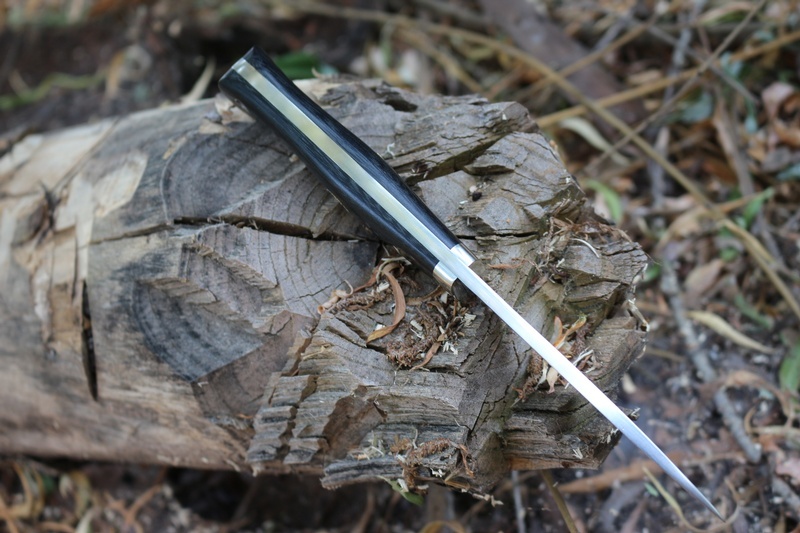 The blade is made of our best steel, a powder steel, which we call 3G, a vanadium-molybdenum steel that holds an edge very well – of course, the blade has a convex edge, something that we are alone in the world to offer. Although the knife is primarily sold as a collectible, customary value is at least just as high – all our knives are designed to be fully operational, and that really applies on the current F1/3Gmm and F1/3Gbm. Purchase through PayPal by using the "Add To Cart" button above or use the form below to order the Fallkniven F1 3G BM JAS Limited Edition . 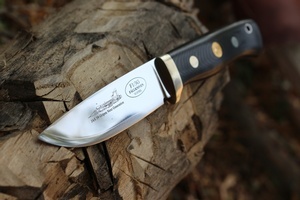 Feel free to contact us if you have any questions about the Fallkniven F1 3G BM JAS Limited Edition .